The famed sculptor Anna Hyatt Huntington (AHH) loved big cats. Beginning with her first cat sculptures in 1898, she created dozens of jaguars, leopards, lions, and tigers in all shapes and sizes. AHH’s father, the zoologist and paleontologist Alpheus Hyatt (1838-1902), who worked at the Boston Society of Natural History from 1870 until his death in 1902, undoubtedly nurtured her love of animals. 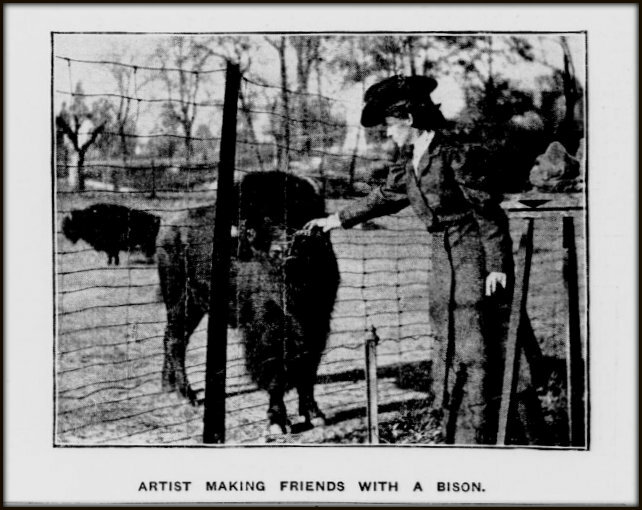 During the 1890s, AHH began studying wild animals in earnest at Norumbega Park in Newton, Massachusetts, and Bostock’s Live Animal Show in Boston. In 1902, after settling in New York, AHH headed to the Bronx Zoo. There she modeled bison, monkeys, tigers, and lions. She insisted throughout her career on modeling animal subjects from life, rather than studying them in an academic setting. AHH made rough sketches and miniature clay models while observing the animals first-hand. She worked small lumps of plasterline on modeling tablets, transforming clay masses into sketches of wild beasts. AHH with bison at the Bronx Zoo. New-York Tribune, February 4, 1906. One ferocious animal, in particular, captured AHH’s attention: the celebrity Paraguayan jaguar Señor Lopez, who served as a source of inspiration for nearly four decades. A 1921 article in The Sun relates the “unusual story” of AHH’s modeling of Señor Lopez for Reaching Jaguar. As AHH’s drawings reveal, she often studied Señor Lopez, eyeing the curve of his backbone, arched body, sinuous form, and intensity of facial expression. Such close and repeated inspection allowed her to convey the animal’s ferocity and feral athleticism. 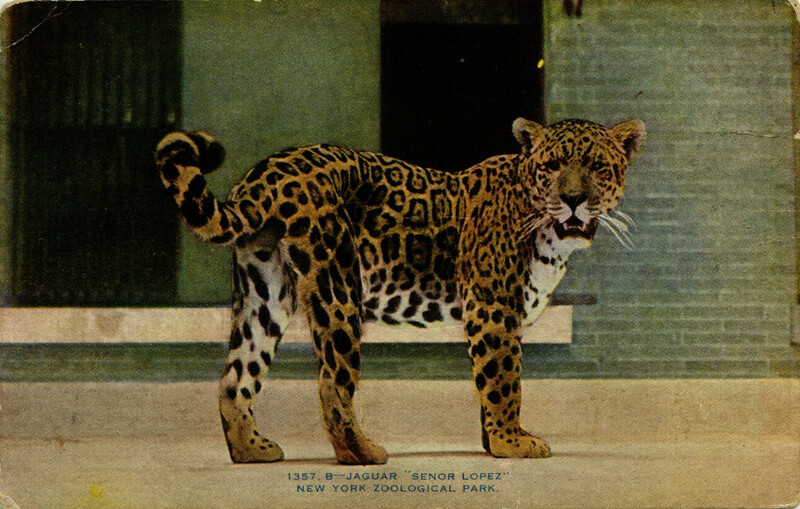 Postcard featuring Señor Lopez, circa 1920s. WCS Archives Collection 2016. 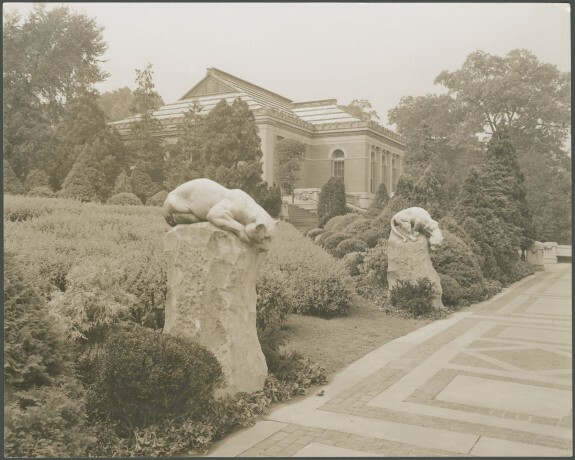 In 1926, AHH’s husband, Archer M. Huntington, whom she had married in 1923, ordered a bronze cast of the feline pair to be donated to the Metropolitan Museum of Art. In 1937, Huntington presented a stone pair to the Zoo. Since that time, they have stood on the slope between Fountain Circle and Astor Court, south of the Zoo’s Fordham Road entrance. AHH jaguar sculptures, Bronx Zoo. Bulletin of the New York Zoological Society, 1937. 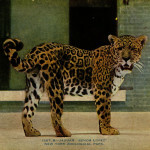 AHH’s relationship with jaguars and other wild animals connected to the idea of the vanishing West. As the frontier closed, defining qualities of American culture had to be reformulated—brought east and reintegrated into rapidly expanding urban metropolis. Untamed nature arrived in eastern cities in the form of zoological parks and natural history museums, where man’s relationship with beasts began to change. Wild animals, displayed to thousands of curious viewers, spoke to man’s taming of nature within the framework of American identity. This post was written by Daria Rose Foner, doctoral student in art history at Columbia University. She graduated from Princeton University and has an M.Phil from Cambridge University. Before attending college she danced with the Norwegian National Ballet. She was one of the curators of the exhibition Goddess, Heroine, Beast: Anna Hyatt Huntington’s New York Sculpture, 1902-1936, at the Wallach Gallery, Columbia University from January 22 to March 15, 2014. Read more about the exhibition and find additional images of the jaguars at ARTnews. See a video about the exhibition here.